The exhibition Fuzzy Dark Spot will bring together video works by mostly Hamburg-based artists ranging from the 1970s to the present day, featuring historical and contemporary productions in both thematic and monographic groups. The exhibition examines how video in art interprets social and media irritations and manipulations. The fields of this investigation include references in video art to television, the educational movement of the counter-public of the 1970s, as well as the use of video as a surveillance medium, a means of artistic narrative, a psychosocial mirror, and an instrument of self-optimization in the digital present. The major impact of video images on the collective memory and consciousness in the 20th and 21st centuries makes doubts about images, the uneasiness with the familiar, as well as the distrust of truth claims important subjects of artistic reflection. The title summarizes the common theme of the works in the exhibition: a nebulous, fuzzy dark spot, place, or condition. The term Fuzzy Dark Spot comes from a discussion in an internet forum about camera lenses contaminated with mold. 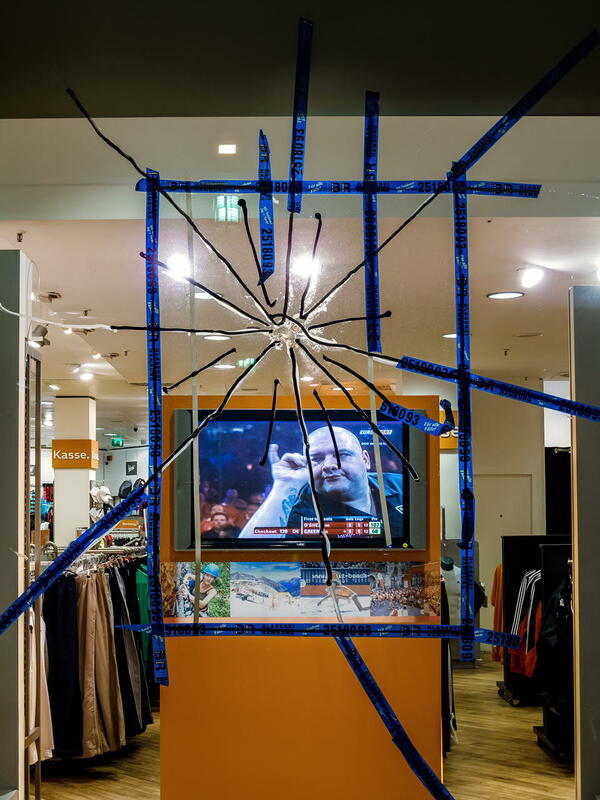 The exhibition, curated by the Hamburg-based video artist Wolfgang Oelze, is programmatically linked to the exhibitions Weisser Schimmel (2010) and Capitain Pamphile (2011), which offered a look at the diverse works of artists in Hamburg within the Falckenberg Collection with specific curatorial concepts. Part of the exhibition is an extensive supporting program with artist talks, screenings and lectures in the Falckenberg Collection as well as film screenings in the Metropolis cinema. The exhibition will be accompanied by a catalogue.